Modern Mum Serving Plates come in packs of three. Just the thing for your Baby Shower party table. 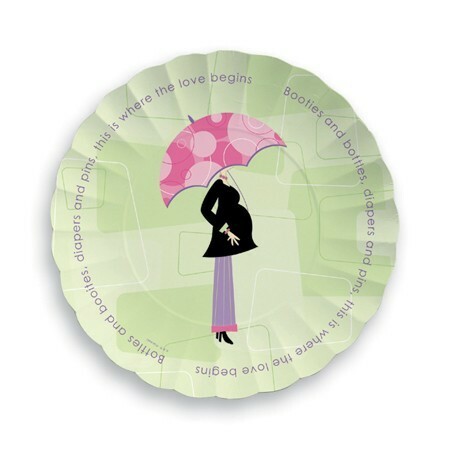 A Pack of 3 fluted paper serving plates ideal for sandwiches, cakes, canapes or any other items of food that you wish to serve to your guests. Each plate has a protective coating. These add the finishing touches as they are designed in the very popular Modern Day theme to co-ordinate with the rest of your tableware. EACH PLATE IS 28cm DIAMETER & you will receive a Pack of 3 so very good value.